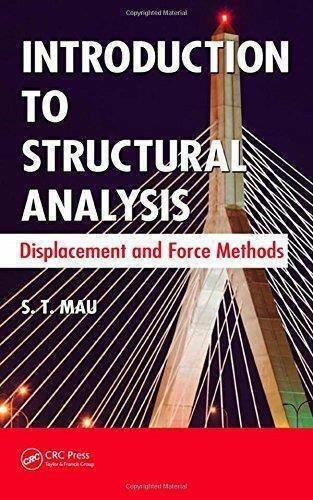 Bridging the gap between what is traditionally taught in textbooks and what is actually practiced in engineering firms, Introduction to Structural Analysis: Displacement and Force Methods clearly explains the two fundamental methods of structural analysis: the displacement method and the force method. It also shows how these methods are applied, particularly to trusses, beams, and rigid frames. Acknowledging the fact that virtually all computer structural analysis programs are based on the matrix displacement method of analysis, the text begins with the displacement method. A matrix operations tutorial is also included for review and self-learning. To minimize any conceptual difficulty readers may have, the displacement method is introduced with the plane truss analysis and the concept of nodal displacement. 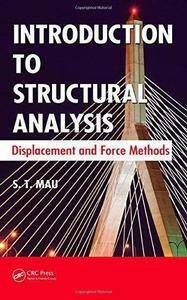 The book then presents the force method of analysis for plane trusses to illustrate force equilibrium, deflection, statistical indeterminacy, and other concepts that help readers to better understand the behavior of a structure. It also extends the force method to beam and rigid frame analysis. Toward the end of the book, the displacement method reappears along with the moment distribution and slope-deflection methods in the context of beam and rigid frame analysis. Other topics covered include influence lines, non-prismatic members, composite structures, secondary stress analysis, and limits of linear and static structural analysis. Integrating classical and modern methodologies, this book explains complicated analysis using simplified methods and numerous examples. It provides readers with an understanding of the underlying methodologies of finite element analysis and the practices used by professional structural engineers.